In October 1944, the Imperial Japanese Navy organized Special Attack Units. The Special Attack Units includes "kamikaze" bombers, which are designed to destroy Allied warships by crashing pilot-guided aircraft laden with bombs. 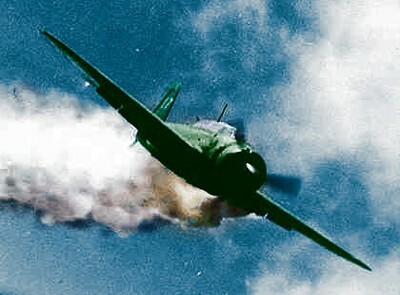 Lt. Yoshinori Yamaguchi's Yokosuka D4Y3 (Type 33 Suisei) "Judy" in a suicide dive against USS Essex on November 25, 1944. 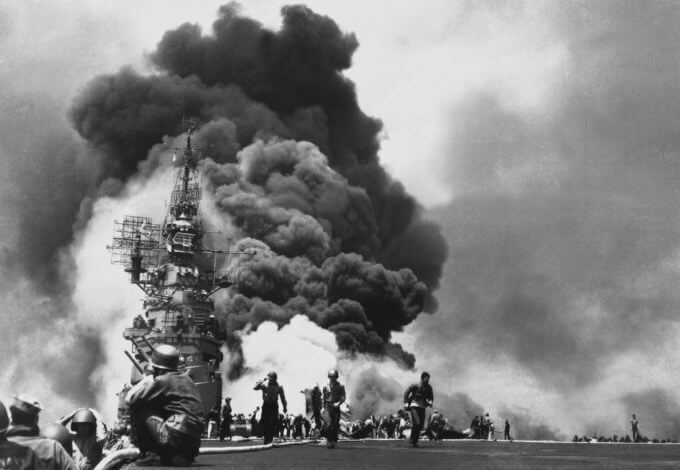 Kamikaze attacks were a kind of suicide attacks and about 19% of kamikaze attacks were successful and more than 7,000 Allied personnel were killed by kamikaze attacks. USS BUNKER HILL hit by two Kamikaze pilots on 11 May 1945 off Kyushu. 389 personnel were killed or missing and 264 wounded. "Kamikaze（神風）" means "divine wind" or "spirit wind" which is derived from the two typhoons blew in 1274 and in 1281 in Japan. In Japanese history, these typhoons saved Japan from the naval invasion by Mongol fleets of Kublai Khan. 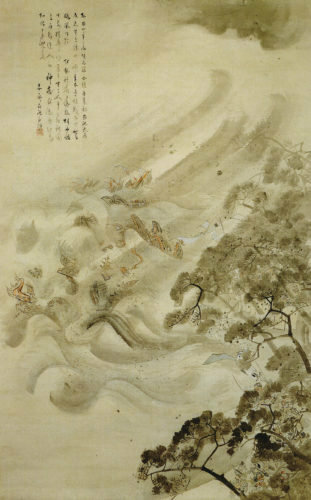 At that time, many religious Japanese believed that the Japanese gods caused these typhoons against the Mongols to save Japan which is considered as a divine land. Later, during WWII, the leaders of the Imperial Japanese Government used this anecdote as nationalist propaganda. The many Japanese young pilots hoped that the "divine wind" will sweep the enemy from the seas again and became victims of the Japanese imperialism. 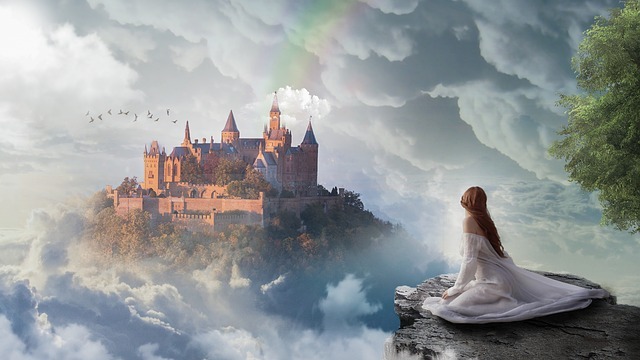 However, 100 years ago, a Japanese psychic had predicted that the third "divine wind" by kamikaze attacks will never blow in favor of the Empire of Japan. Furthermore, he had also predicted that the Empire of Japan will lose in the war against the United States. Amazingly, these predictions were published 30 years before the attack on Pearl Harbor. He had foretold everything through his supernatural power from the start of the war. Onisaburo denied the propaganda by the Imperial Japanese government which brainwashed many Japanese young men and women. He said to his followers criticizing the Imperial Japanese government's conduct. So, we will never cooperate with them in this war. 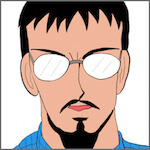 Onisaburo noticed that the Imperial Japan was fighting the wrong war. Thus, he called the leaders of the Imperial Japanese government as "murderers," because they had ordered many promising young men to make suicide attacks against Allied naval vessels. 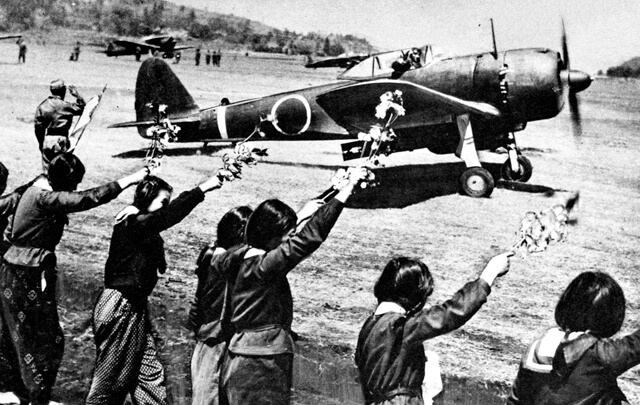 Chiran high school girls wave farewell with cherry blossom branches to departing kamikaze pilot in a Nakajima Ki-43-IIIa Hayabusa. He was negative about Japanese militarism and he hated Japanese militarists who had decided to invade Asian countries. Then, Onisaburo declared that the third divine wind "kamikaze" will never blow to save the Empire of Japan, contrary to expectations of many Japanese people. He said to his followers. There will no Special Providence for Japan, because this war was caused by a raid of Japan. 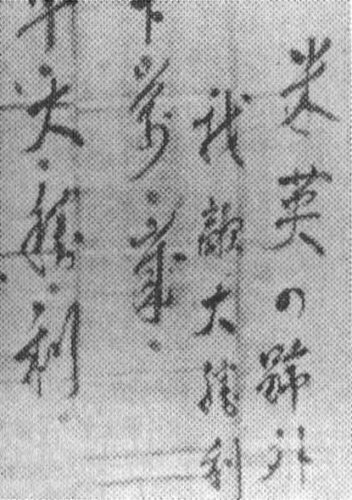 Onisaburo believed that the military actions of the Imperial Japanese Government were against the "divine will," because they caused a war of invasion. In 1945, the US Navy developed techniques to negate kamikaze attacks by light rapid fire anti-aircraft weapons. Therefore, the kamikaze bombers were unable to turn the tide of the war and to stop the Allied invasion to Japan. The third divine wind "kamikaze" did not blow to save Japan and more than 3,800 Japanese young pilots died. During the WWII, many Japanese people hoped that the Empire of Japan will win over Allies in the end, because the Imperial Headquarters concealed the facts from the public. However, Onisaburo detected the deteriorated war situation. Then, he gave advice to Japanese soldiers who were ordered to the front. Shoot your gun toward the sky. This advice was intended to prevent the soldiers and even the enemies wound in the fruitless war. One day, Onisaburo made a charm for a Japanese soldier. In the charm, he wrote the following words. Our enemy will gain a great victory. In addition to that, he added the following words. Extra news to the U.S. and the British. A charm which Onisaburo made for a Japanese soldier. The words "Extra news to the U.S. and the British. Our enemy will gain a great victory." are written in the charm. Onisaburo believed that if the United States and the British defeat the Empire of Japan quickly, many Japanese soldiers and Allied soldiers would survive the fruitless war. He hoped that this wrong war would end immediately. His charms brought good luck to Japanese soldiers, because the Empire of Japan lost the war and they could return their home safely. Onisaburo also predicted the last day of World War II exactly. In 1944, he had told his follower as follows. Pay attention to the day of August 15, 1945. Furthermore, he also predicted the end of war. In the middle of August, 1945, we will take the first step to world peace. 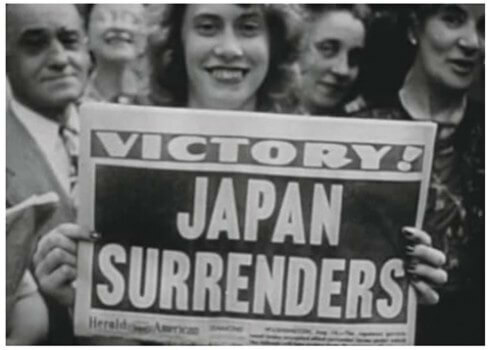 As he predicted, the Empire of Japan surrendered on August 15, 1945. 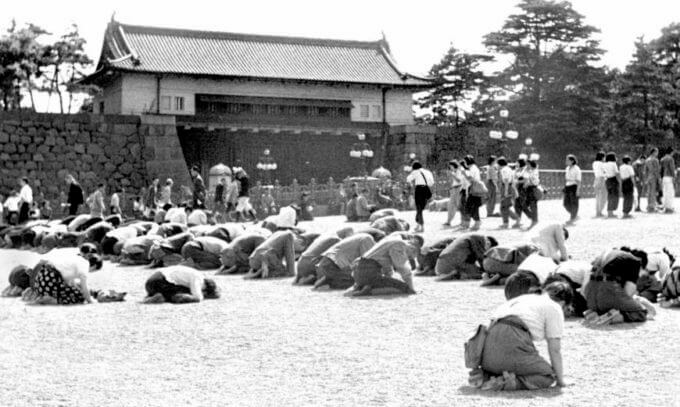 On August 15, 1945, Japanese people prostrate themselves as they listen to Emperor Hirohito's radio broadcast announcing Japan's surrender in World War II, outside the Imperial Palace in Tokyo. Amazingly, Onisaburo predicted that the leaders of the Imperial Japanese Government would not be saved. 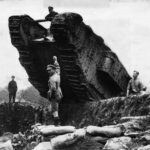 The Japanese leaders who are responsible for this war will not be saved. Some of them will be saved, but most of the saved leaders will be expelled from the government. 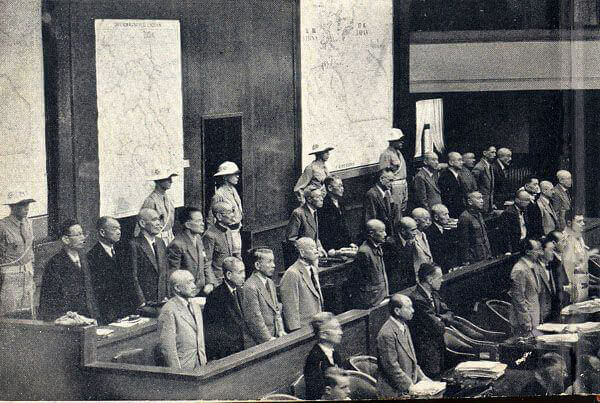 The defendants in the International Military Tribunal for the Far East (The Tokyo Trial). In the International Military Tribunal after the WWII, many of the leaders and the commanders of the Empire of Japan were sentenced to death by hanging and to life imprisonment for war crimes, crimes against humanity, and crimes against peace. The Japanese leaders will not be saved, as he predicted. In this way, the Empire of Japan followed the exactly the same fate as Onisaburo predicted. Onisaburo was a great psychic!